for a preview of the museum exhibits. Each tells a hugely complex story from a different thematic angle — collectively, a telling that has been long in the planning, and is long overdue. 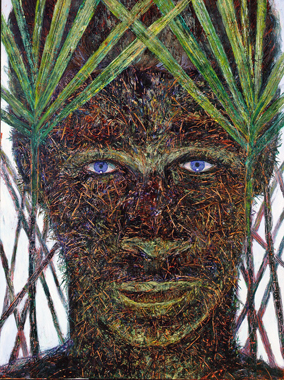 (Caribbean material has thus far not shared in the aura of glamour that has gathered around Latin American art.) While not strictly speaking a masterpiece show, its like won’t be attempted again on this scale and in this depth for some time. The story is woven as much from questions as from answers, from intangibles as from facts. Is the Caribbean a place? If so, what are its boundaries? Are Florida and Colombia as much part of it as Cuba? Is there a Caribbean culture, and how do you define it, given the mix of African, Asian, European and indigenous elements that blend, in quite different proportions, on some three dozen islands in the region?